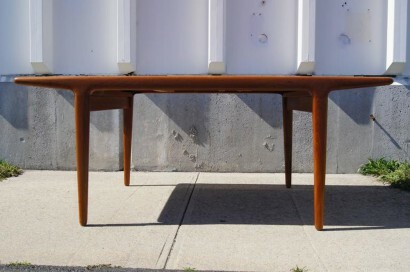 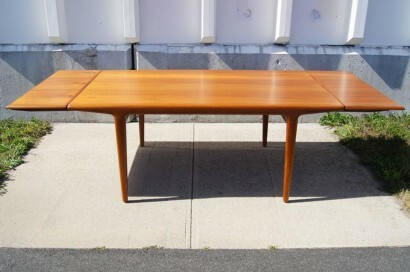 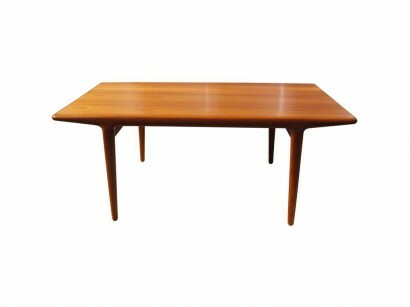 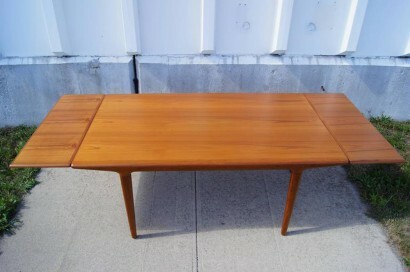 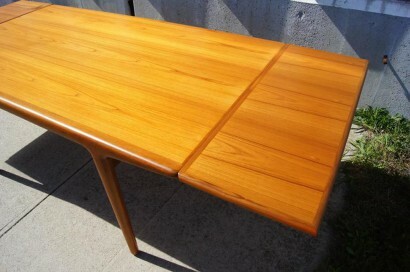 Designed by Niels Møller, this Danish modern extension table is notable for its beautifully tapered lines and the warmth of the teak. 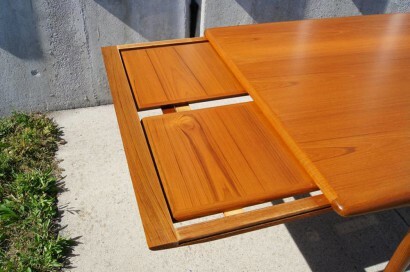 Two concealed leaves easily slide out allow ten persons to dine comfortably. 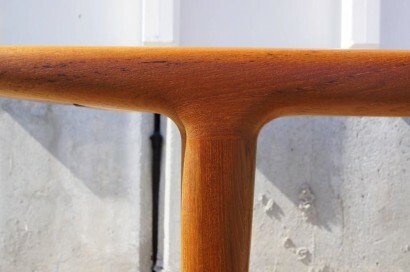 Each extension is 15.5 inches.